*will have the opportunity to test and evaluate their school’s emergency plans, policies, and procedures. 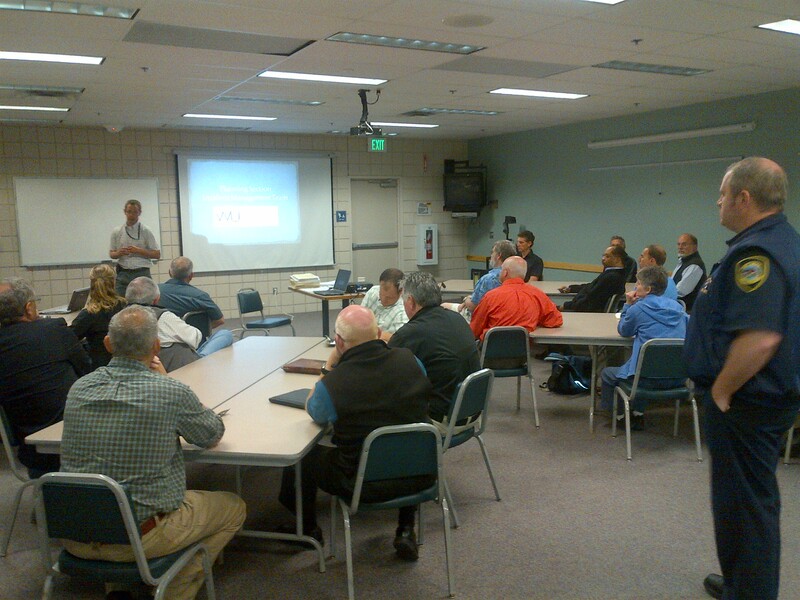 The Division of Emergency Management and area first responders have collaborated with one another to offer various training to local Whatcom County school districts. From natural and human caused disasters to violence in schools, this program covers it all and continues to expand. This free online course is designed primarily for kindergarten through high school personnel. 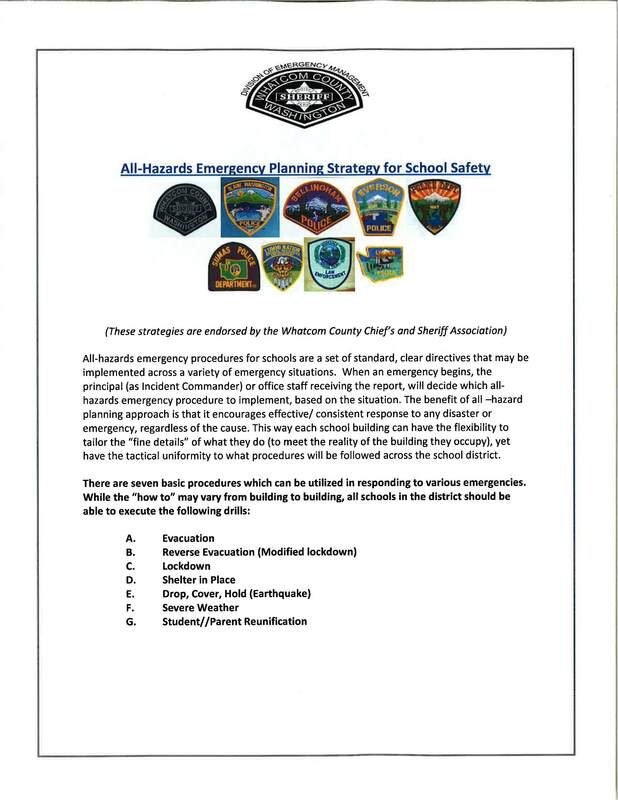 The overall course goal is to promote school safety by: (1) familiarizing you with how Incident Command System principles can be applied in school-based incidents; (2) preparing you to interface with community response personnel. Led by an Emergency Management liaison and in collaboration with select school staff, you will develop and complete an Incident Command System (ICS) organizational chart for your school within a hour time block. This free online course course is designed for teachers, substitute teachers, counselors, parent volunteers, coaches, bus drivers, and students. However, anyone with a personal or professional interest in school preparedness is welcome to participate. School administrators, principals, and first responders alike will find useful information in this course. These courses are offered in an effort to assist schools with specific challenges they may face in there planning and mitigation efforts. 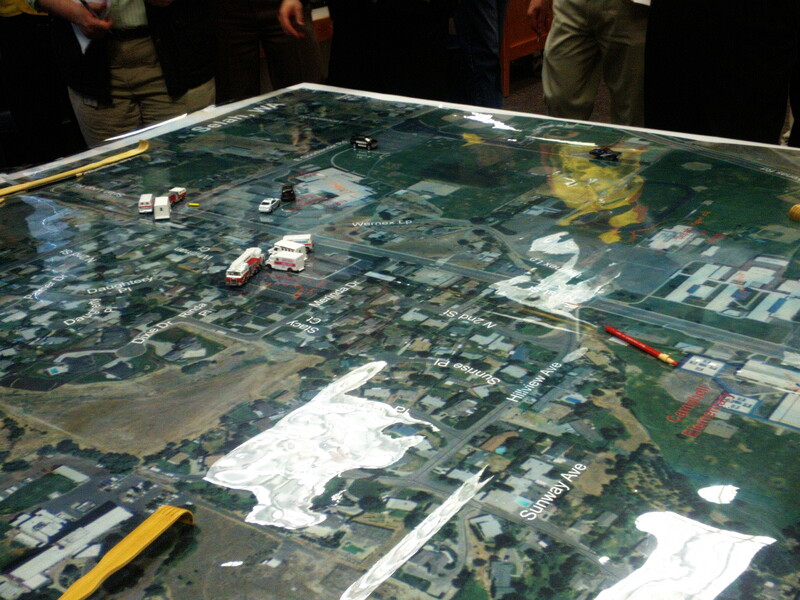 Led by an Emergency Management liaison and in collaboration with selected school staff, you will develop and complete training, planning assistance, and or an exercise in any of these courses.